Spring is the season of new beginnings and new growth. As the temperature starts to warm up and everything begins to thaw from the winter, spring foraging options increase! This is the time of year for fresh salad greens, tasty spring flowers and shoots, medicinal plants, and a few edible mushrooms. This list of what to forage in spring will help you get started on your spring foraging adventure! 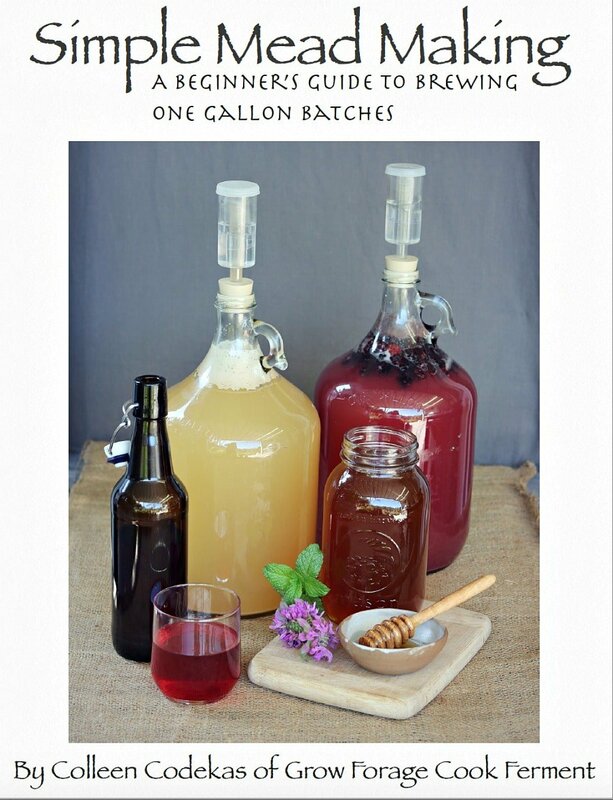 Before we get started with this spring foraging list I want to let you know about my ebook! 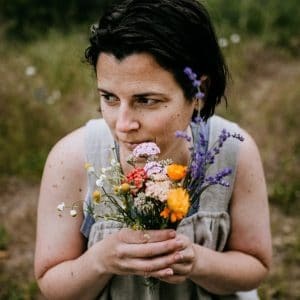 Wildcrafting Weeds: 20 Easy to Forage Edible and Medicinal Plants (that might be growing in your backyard!) 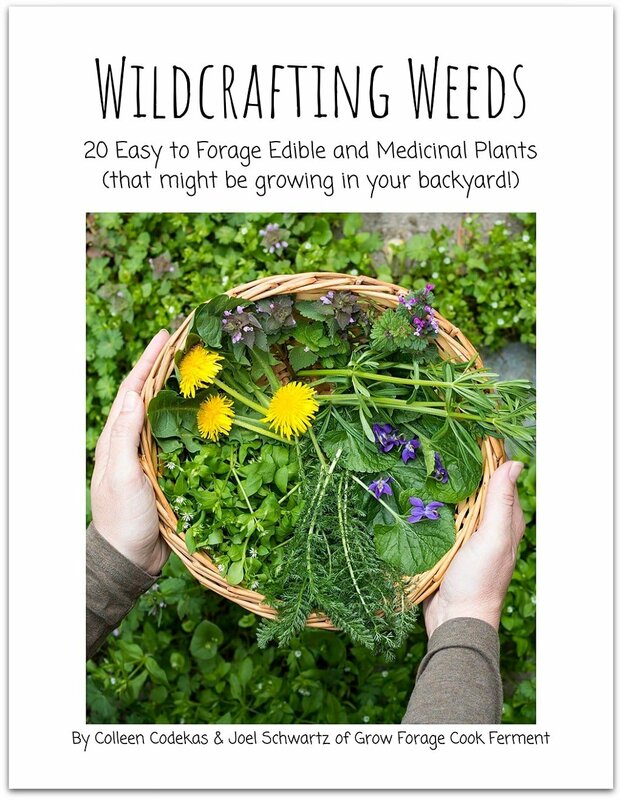 gives you foraging and identification tips along with full color photos and recipes for using your foraged weeds. Be sure to check it out! 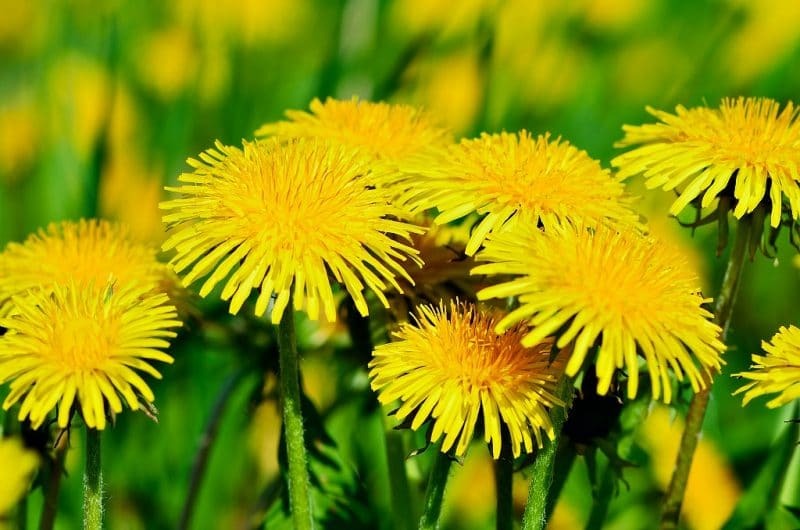 Dandelions are the quintessential spring foraging plant, with edible and medicinal flowers, leaves, and roots! They are super easy to identify, and any look-a-likes are edible and medicinal as well, so no worries there. 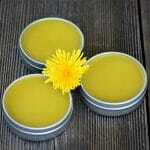 Make dandelion salve with the flowers, dandelion pesto with the leaves, and dandelion root coffee with the roots. If you’re worried about harvesting dandelion blossoms in the spring because they might be food for bees, it’s actually not as big of a problem as it’s been made out to be. In fact, there are enough dandelions to go around, and picking them only makes them produce more flowers! (Read this post on flowers to plant for the bees). 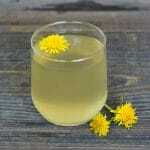 Read more about foraging for dandelions and foraging for dandelion root here. 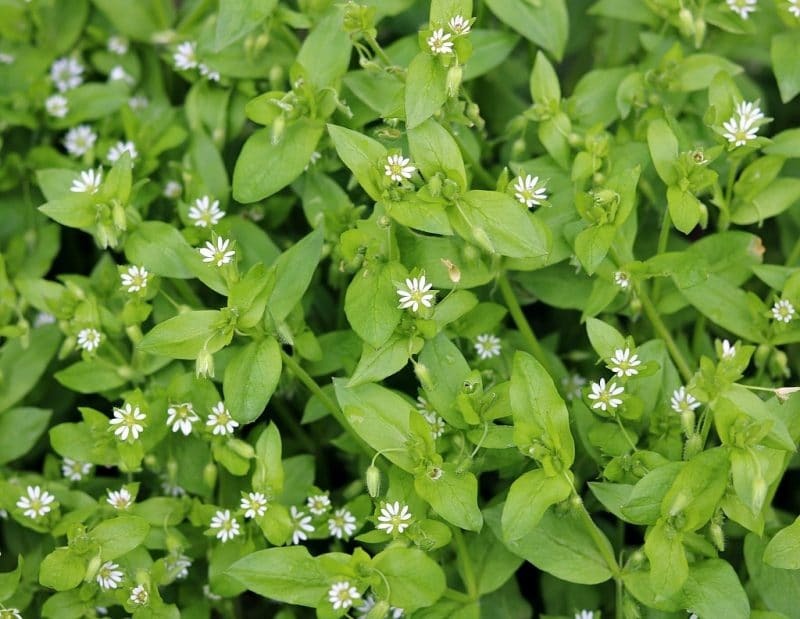 Chickweed is a tasty edible green that comes up in early spring. In some milder locations it will even grow throughout winter. Once it warms up chickweed will die back, so be sure to get it while you can so that you can add it to salads or make chickweed pesto! Read more about foraging for chickweed here. Miner’s Lettuce looks a bit like chickweed and is sometimes confused with it, but it is a different plant. It is a delicious salad green that grows wild in western states, but can be cultivated in other areas. Like chickweed, it prefers cooler temperatures and will sometimes grow right through the winter. 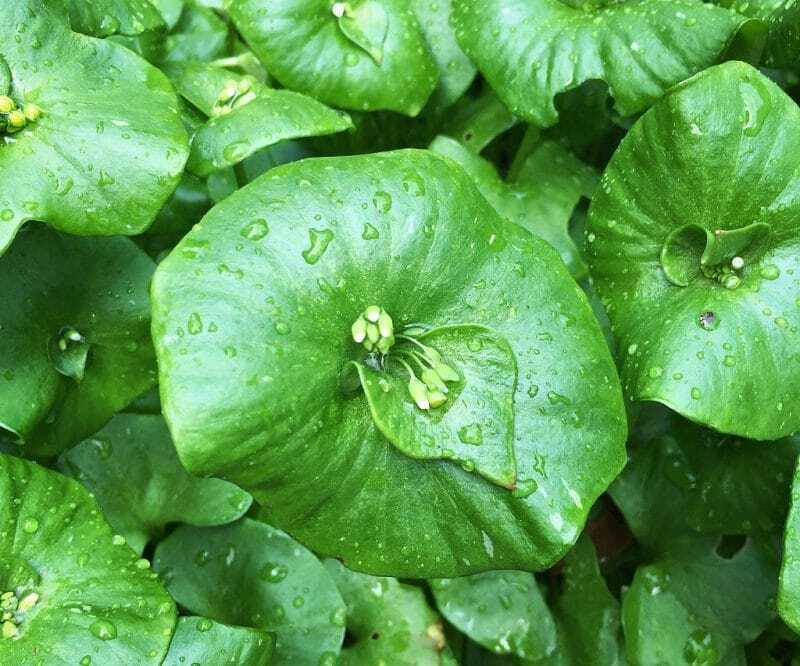 Read more about foraging for miner’s lettuce here. Wild violets and their leaves are both edible and medicinal. They come up in early spring and are often the first flowers of the season, making them a lovely sight! They love cooler temperatures and will grow in the winter in warmer locations. 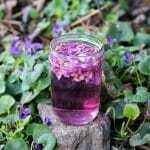 Make violet flower infused vinegar or violet leaf balm with your foraged violets! 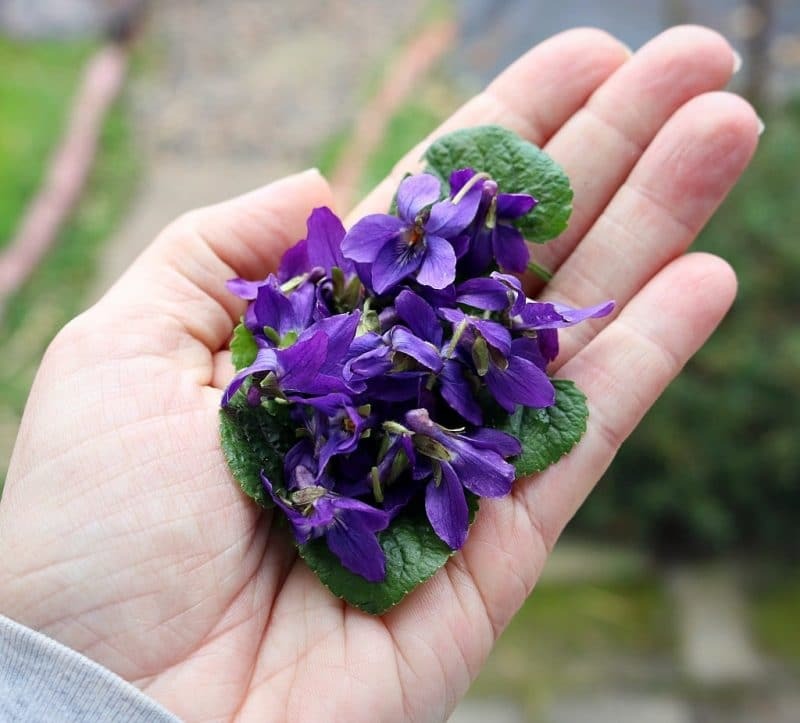 Read more about foraging for wild violets here. Both red and white clover are beneficial to us in many ways. The blossoms are sweet and edible, perfect for adding to baked goods or infusing into honey. 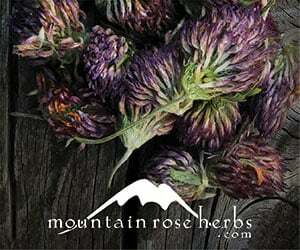 Red clover is especially high in vitamins and minerals and makes a wonderful tea. Make these red clover biscuits or these strawberry white clover cookies! 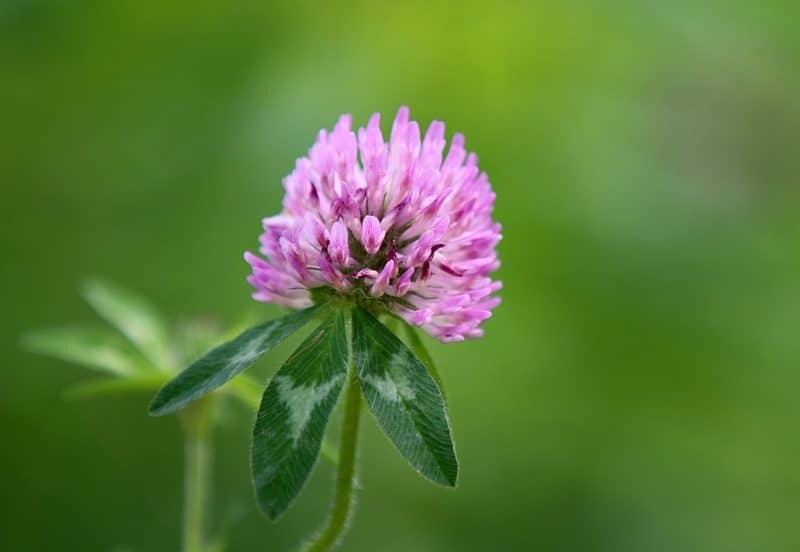 Learn more about red clover and white clover and their benefits here. Fiddleheads are fern leaves before they’ve unraveled, and they are usually only available for a few weeks in the springtime. The fiddleheads of the Ostrich fern are the most popular for foraging, as they are the tastiest. They have a flavor that is similar to asparagus and are excellent sauteed with butter and garlic. Some other varieties of ferns are also edible as fiddleheads, such as western sword fern, bracken fern, and lady fern. These should all be cooked before consuming. Some varieties of ferns are toxic, so be sure that you consult a guidebook and have a positive identification before harvesting. 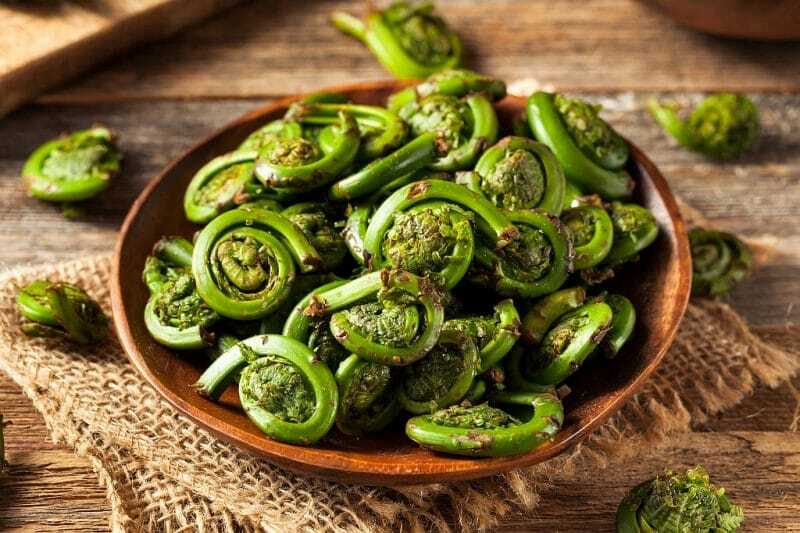 Read more about foraging and identifying fiddlehead ferns here. Ramps are also called wild leeks and are in the same family as onions and garlic (Allium). They have a strong onion flavor and can be used just like you would use onions or garlic. They grow wild in the eastern United States and Canada. 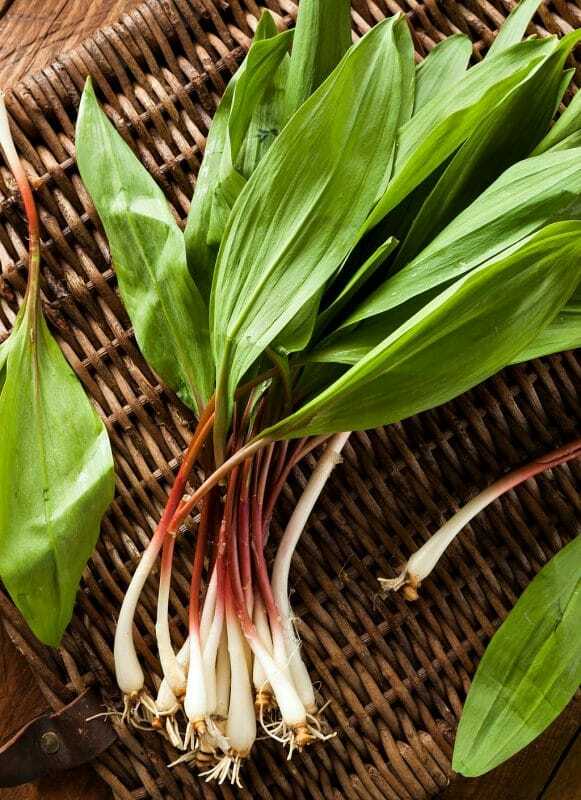 Ramps require special harvesting practices as they are becoming threatened in many areas. 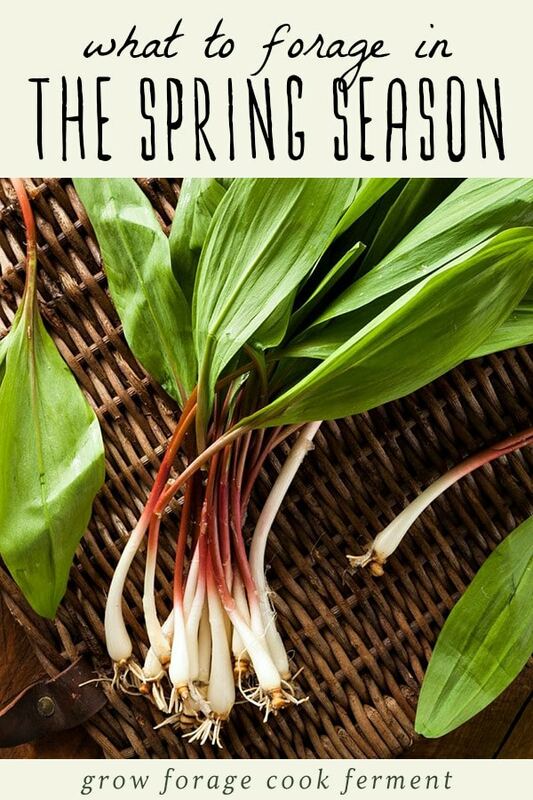 Read more about foraging and sustainably harvesting ramps here. Cattails are known as the ultimate survival plant, as every part of the plant can be used in some way. The young shoots that come up in the spring are the tastiest part, resembling the flavor of a cucumber, and can be eaten raw. The yellow pollen that covers the flower spike in late spring or early summer makes a delicious foraged flour substitute. Make fermented cattail shoots or cattail pollen pasta! 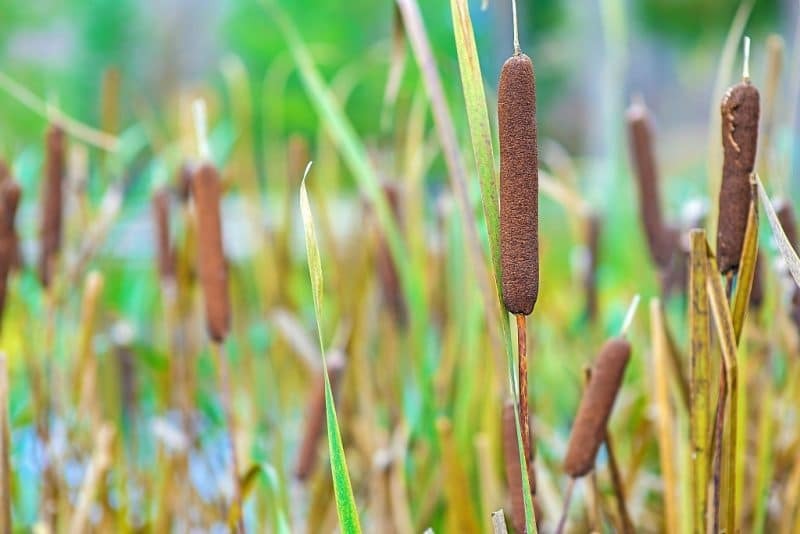 Read more about foraging for cattails and cattail pollen here. Wild asparagus is one that I’ve never found myself, but would absolutely love to one day! They are found in patchy areas throughout the United States and Canada and are notoriously difficult to spot. Wild asparagus is just like regular garden asparagus in flavor—which means delicious! Read more about foraging for wild asparagus here. 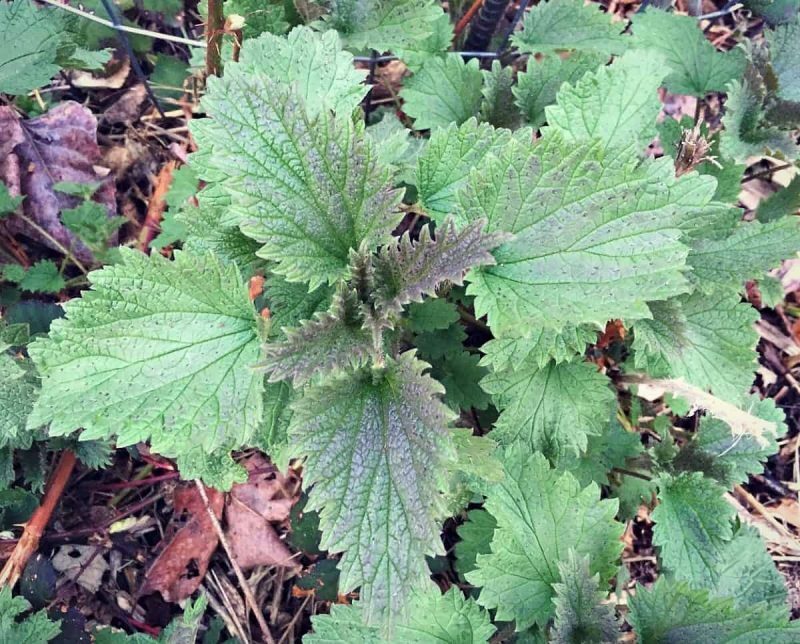 Stinging nettle is one of my favorite plants to forage for in the springtime. They are usually pretty easy to find, but don’t forget to bring a pair of gloves for harvesting! 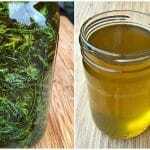 Stinging nettle is a superfood that is packed full of vitamins and minerals. Cooking the plant will dispel its sting. Make this stinging nettle-ade recipe or these nettle chips with your foraged nettles! Learn more about foraging for stinging nettle here. Dead nettle got its name because of its supposed resemblance to stinging nettle (I don’t see it) but without the sting. Purple dead nettle, which is pictured above, is the most common variety and is often found in backyards or gardens. It is perfect to add to a wild greens salad or pesto! Learn more about foraging for purple dead nettle here. 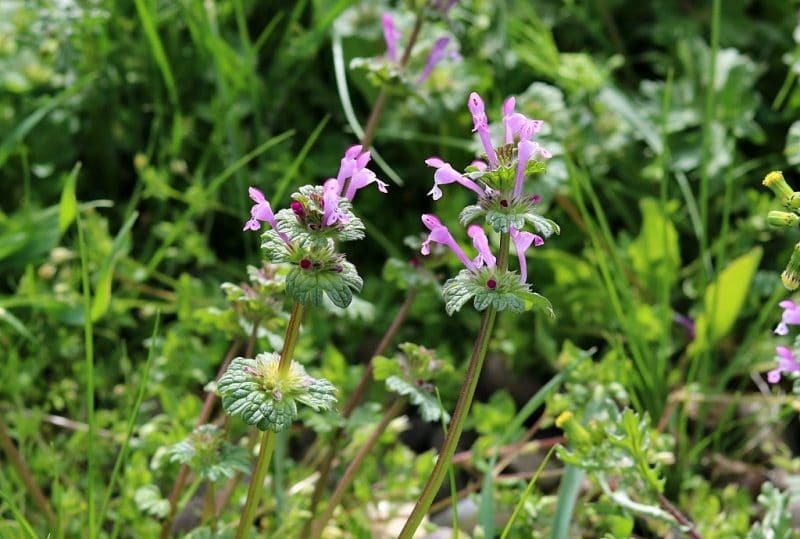 Henbit is in the same family as purple dead nettle, and they are often confused with one another. If you compare the two photos above you can really see the difference between them. This is another tasty green that can be added to salads or made into a wild pesto. Chickens love henbit too, which is where it got its name! 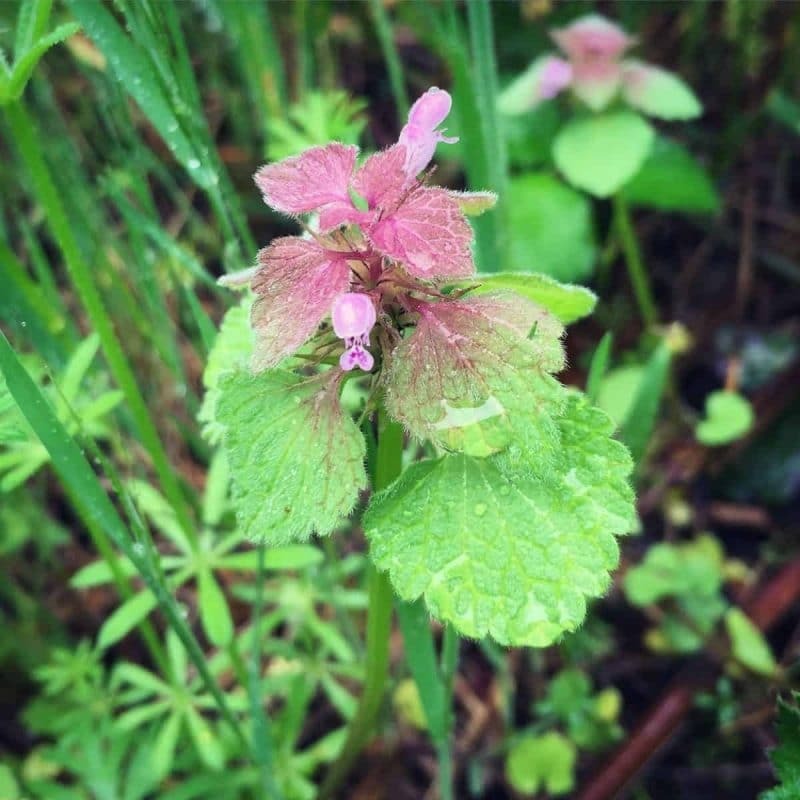 Learn more about foraging for henbit here. Garlic mustard is a prolific plant that is sometimes considered to be invasive. This means that you can and should harvest as much as you want! It has a strong garlicky flavor that is tamed by blanching. Make this garlic mustard pesto with your foraged greens! 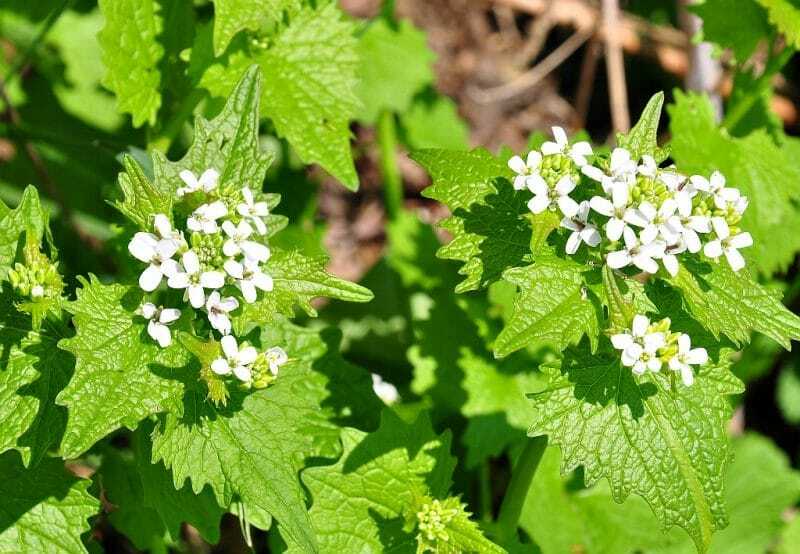 Learn more about foraging for garlic mustard here. 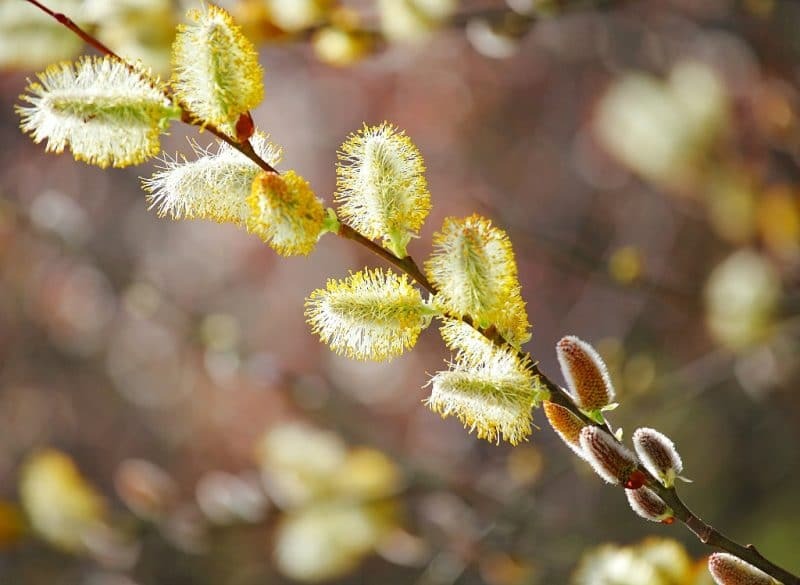 Most everyone is familiar with soft and fuzzy pussywillows that emerge in the springtime. Not everyone knows that willow is a highly medicinal tree! White willow bark in particular is a powerful pain reliever—it actually has the same compounds in it as aspirin! Make willow bark tea to help ease your aches and pains. Learn more about foraging for willow here. Yarrow is another highly medicinal plant that comes up in the spring. Its frilly, frond like leaves make it easy to identify. It is also technically edible, but is quite bitter so is most often used for medicinal purposes. 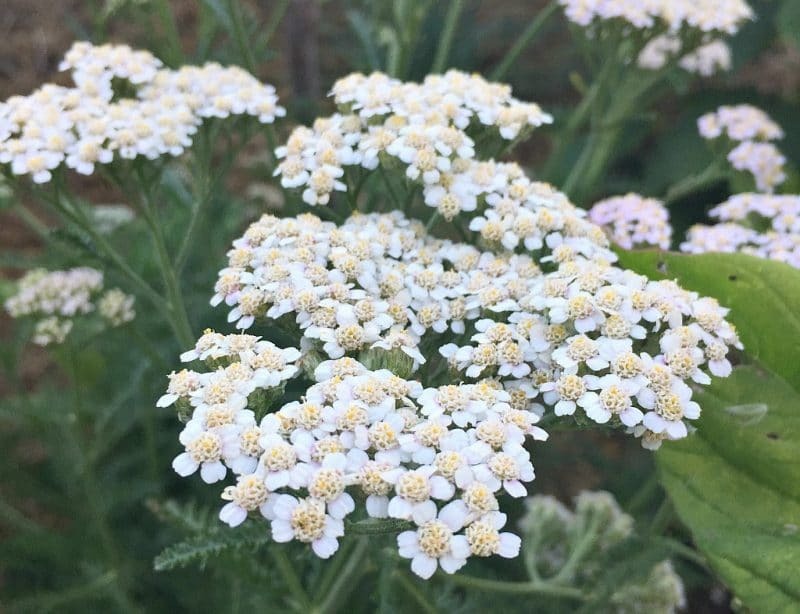 Use yarrow for treating fevers and coughs, or to help stop bleeding. 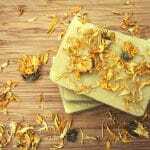 I also have this recipe for wild rose and yarrow soap! Read more about foraging for yarrow here. Be aware that yarrow can sometimes be misidentified for poison hemlock! Plantain is both edible and medicinal, and is a very important herb to know about. There are two main varieties, broadleaf or narrowleaf, and both are beneficial. Young and tender leaves can be eaten raw and are highly nutritious. Older leaves can be added to soups and stews. Using plantain medicinally is as simple as chewing up a leaf and putting it on a bug bite, bee sting, or minor wound. 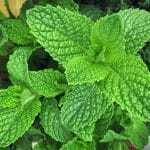 It stops itchiness and helps to heal wounds. Read more about foraging for plantain here. 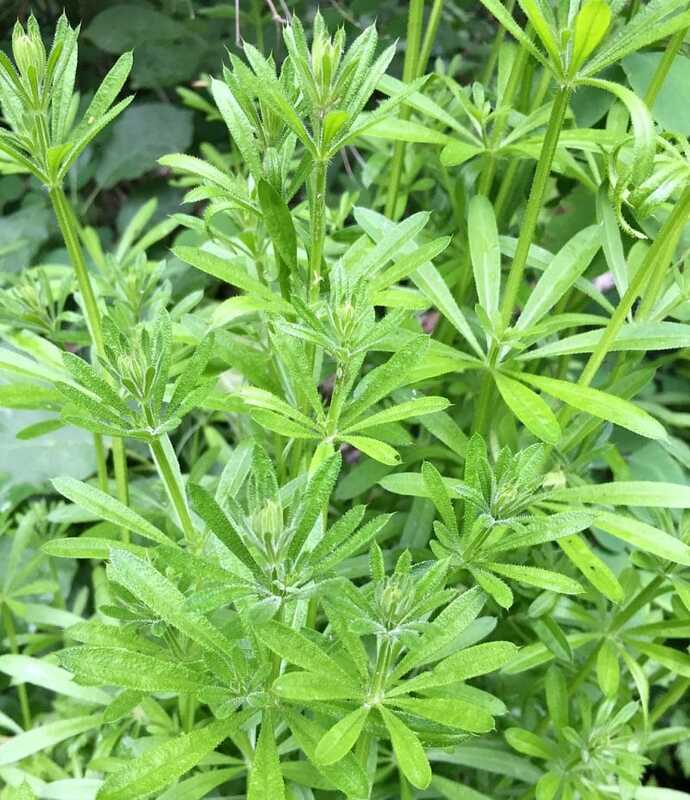 Cleavers is a plant that often surprises people with its medicinal properties! It is most well known for its habit of being a pesky garden weed and sticking to everything. Turns out that it’s highly nutritious and is good for the lymphatic system. It is edible, but I recommend blanching first to dispel the sticky hairs. 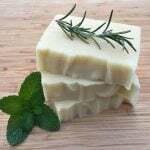 Here are some great recipe ideas for using cleavers. Read more about foraging for cleavers here. Everyone gets excited about the thought of finding morel mushrooms during spring foraging forays. Maybe it’s because they have a relatively short season, or that they can be a bit elusive to find. Regardless, morels are some of the best mushrooms to forage for in the springtime! Be sure to use a mushroom guidebook whenever you are out mushroom hunting. Morels should be cooked before eating and can be used like any other mushroom in recipes. Try them simply sauteed or even deep fried! 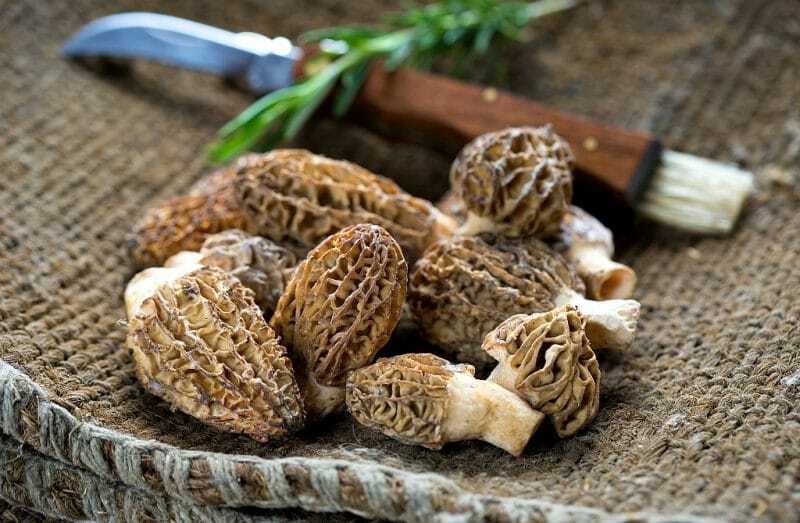 Learn more about foraging for morel mushrooms here. 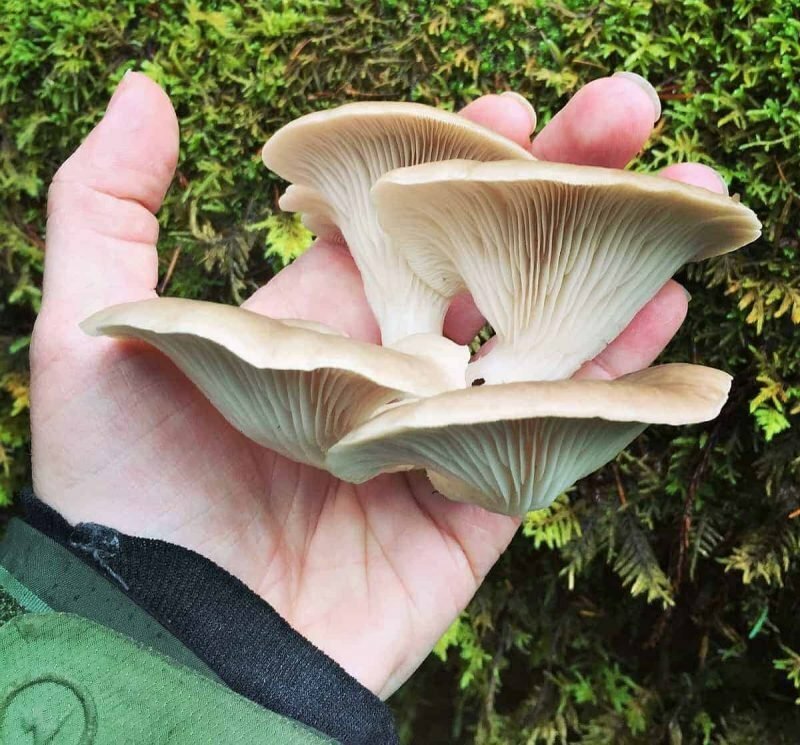 Oyster mushrooms will grow spring through fall in many locations, and they are easy to identify because they always grow on trees or stumps (if it’s not growing from a tree, fallen log, or stump, it’s not an oyster mushroom!). They are also some of the tastiest wild mushrooms around. Learn more about foraging for oyster mushrooms here. King boletes, also known as porcini mushrooms, are considered a delicacy in many places for good reason: they’re delicious! They are often found growing in the forest duff underneath conifer trees, and they start to emerge in the springtime. Boletes can sometimes be tricky to identify, be sure to use a mushroom guidebook whenever you are out mushroom hunting. Learn more about foraging for king bolete (porcini) mushrooms here. 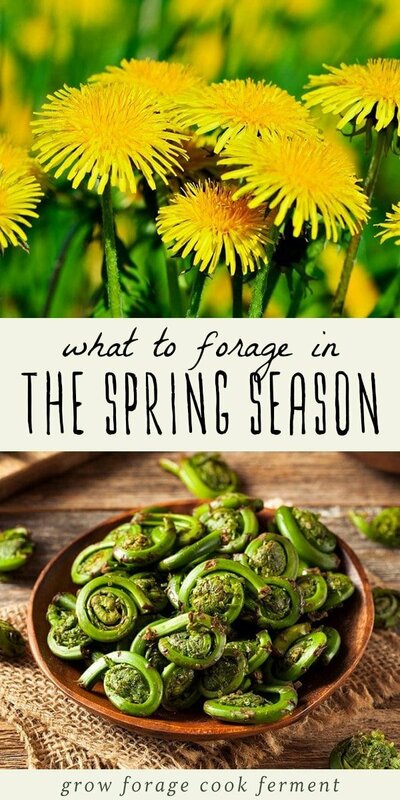 I hope this list has helped you learn what to forage in spring. It really is a great time of year to get outside and collect some wild plants and mushrooms. Happy spring foraging! In New Zealand some people boil plantain leaf and put it on stubborn boils to help draw it out. My family has used it many times and it always works really well. Bracken fern are considered carcinogenic now. Please edit to take that fern out of the list. They are indeed edible, but some care needs to be taken with how they are prepared. Please see this post from experienced forager Hank Shaw to learn more. Most of these like damp, forest. I wonder if the plantain would grow in the desert. There are many desert plants that can be foraged also. There are books on the matter and videos on youtube also. I think it would be good to list a warning for any plants that have a look alike that are poisonous. Some plants are alsmot identical but can be deadly. For example the wild onion and there is one that doesn’t smell like an onion but looked identical but is highly poisonous. Hi Deanna, I understand your concern, but this is just meant to be an overview of which plants are available to forage in spring. For each plant I have linked to a more in depth article that will explain all of those details. Thanks for the interesting article. Funny, I’ve never known about cleavers, but as soon as you described their clingy ways and I saw the picture, I recognized them. Will give these a try! They are known as Sticky Willy in the UK! 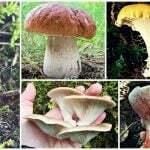 I clicked on the link to learn more about King Bolete harvesting, because as far as I know, they don’t show up until late summer. The article confirmed this, so now I am wondering why they are listed here as a spring edible to forage. Do they appear in the spring in some areas, just not Washington State where I live? I will look into it more, but as far as I know they appear from late spring through fall, depending on location. Kings grow in both spring and fall. They are slightly different, and one is more choice than the other (fall I believe,) but they are considered a spring edible. Posting the scientific name of these plants would be useful. Sometimes the common names apply to more than one plant. This is so true, botanical names should always be used first and foremost. I do not know how to start a thread but I need to advise about wild asparagus hunting. We had a lot of it growing around our part of Southern KY. It tends to grow in fencerows and ditches between a field and the road . You won’t be able to see it until it is too tall to harvest but sometimes if you check those spots there will be new shoots coming up under the thatch. If you cut it be sure to cut at the soil line to encourage it to regrow before the season ends. If you do not spot a patch until it begins to go to seed (they get quite tall), make a note of the location of the patch. Then start checking it when the season begins. Your State Agricultural Extension Service will probably have info about the growing season. It is getting harder to find because the farmers now plow much closer to the road, and the herbicides are not good for them either. 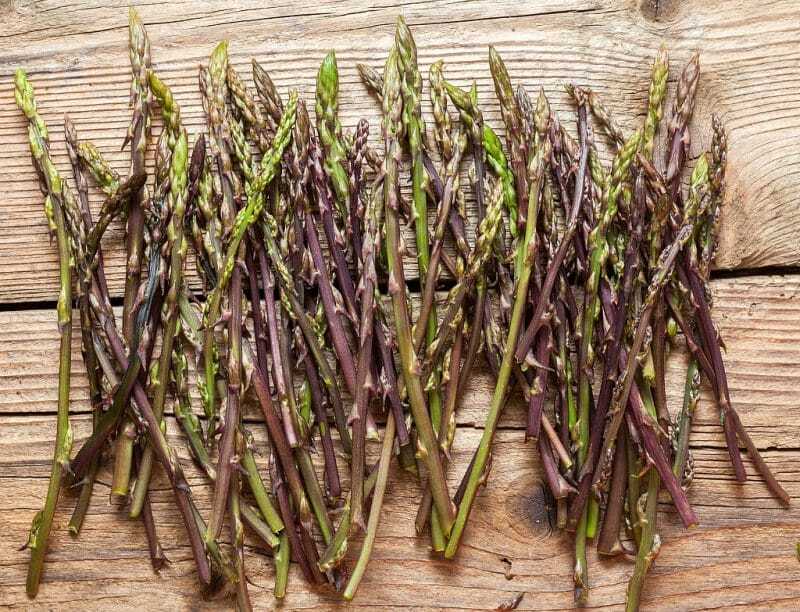 It is very delicious and when I was growing up it was the only source for fresh asparagus unless someone was growing it in their garden Short short season too. We eat angel wings whenever we find them. They’re delicious. Can Plantain but ground and put on eczema to stop itching? Is there a reason it has to be chewed? I.e. it needs the amylase in saliva? Hi Doug. Plaintain can be chopped up and placed on the skin. 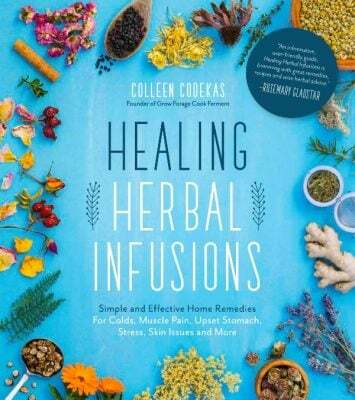 You can also infuse it in oil and rub it on. 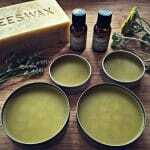 Or make a salve with the infused oil to rub on. The one pictured is Plantago major. My yard has the long skinny leaves, called Plantago lanceolata. Both have the same benefits. I hope that helps. Posting a photograph of ramps with the bulbs and roots attached is a bozo no-no. Ramps are overharvested in many areas, and taking the entire plant is not sustainable. Harvest leaves only. Leave the bulbs. The patch near my house was completely wiped out in one season. That image is improperly harvested to compound the issue. May i gently suggest replacing it with the invasive japanese knotweed. Which has both food and medicinal properties. 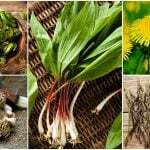 I’m not going to remove ramps from the list because they are a wonderful and delicious plant to forage for, as long as they are done so in a sustainable way. I have linked to an article that explains that method, and I am in the process of getting new pictures and writing a post about how to sustainably harvest ramps. (They don’t grow on the west coast so it has taken me a bit of time to get the proper photos, as I have already mentioned). How are Cleaver’s dried out? And do you know if they can be frozen fresh and still retain their medicinal value? Regarding Yarrow: Please show a photo of Poisonous Hemlock alongside! I thought that I had Queen Anne’s Lace in my backyard but, to my horror, discovered that it was poisonous hemlock! Yarrow flowers may also be confused with hemlock. I have a question. I am severely allergic to aspirin, would I be allergic to.the Willow buds as well since it’s the same plant? It’s possible. Although Natural Willow is no longer used to make Aspirin, it is made from a synthetically created specific compound of the Willow tree called Salicylic acid. If it’s actually the salicylic acid you are allergic to then you may be allergic to Willow also. It’s possible you are allergic to something else in the formula or just the synthetic version, quite often synthesizing a compound changes the compound in a profound way. It’s up to you and the severity of the allergic to decide if it’s worth trying. 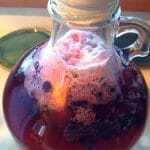 Hawthorn berries bread and cheese, are aspirin substitute. (don’t take if on pharmaceutical beater blockers.. Induces coma, can be fatal. AcidSalicylicacid = ASA willow inner bark and unopened buds contain the same except without being an acid compound. I would not use willow if you are allergic to aspirin. Yes, the active ingredient in both aspirin and willow is salicylic acid (one synthetic, one natural, but chemically identical). Yarrow can also be used as an emergency bug dope. Springtime spruce tips are also worthy of a mention for vitamin C, use in teas, and jellies. Pick spruce tips right away as they “green-up” (in their bio-luminescent light green.) If the tips are “pokey” to the touch, they are no good. So that is, go out and gather when you see that color change! There may be more if you go to the side of the tree where there is less sun. Chop up spruce tips to make 8 cups. Add 8 cups of water. Bring to boil and simmer for 10 minutes. Let stand overnight. Strain. The color will be murky pale. You can add blue plant based food coloring to make it green. To 7 cups spruce tip juice, add 1 cup lemon juice. 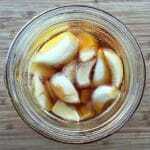 (No natural pectin in the tips.) 2 boxes of the pectin. Mix together. Bring to a rolling boil, stirring constantly. Add 9-10 cups of sugar (honey substitute[? ], return to rolling boil for 2 minutes. You can follow all the other directions for apple jelly on the package directions for canning. Heat the canning lids in hot water. Maple sap lightly reduced, not enough to form syrup, instead of a 80-90 %reduction, a 50% reduction makes a wonderfully sweet tea, with hundreds of herbal ingredient choices! That spruce jelly looks quite interesting! I’m imagining it might be good condiment with salmon. I nibble on hemlock fir tips when they first emerge – slightly lemony and refreshing. Both of those Plantago’s are botanicals introduced to North America. Here on Turtle Island, which we First Nations call “North America”, our indigenous botanical, which was here before those plantago’s arrived, and which we did and still use, is our black-seeded plantain, now binomially named as Plantago rugelii. 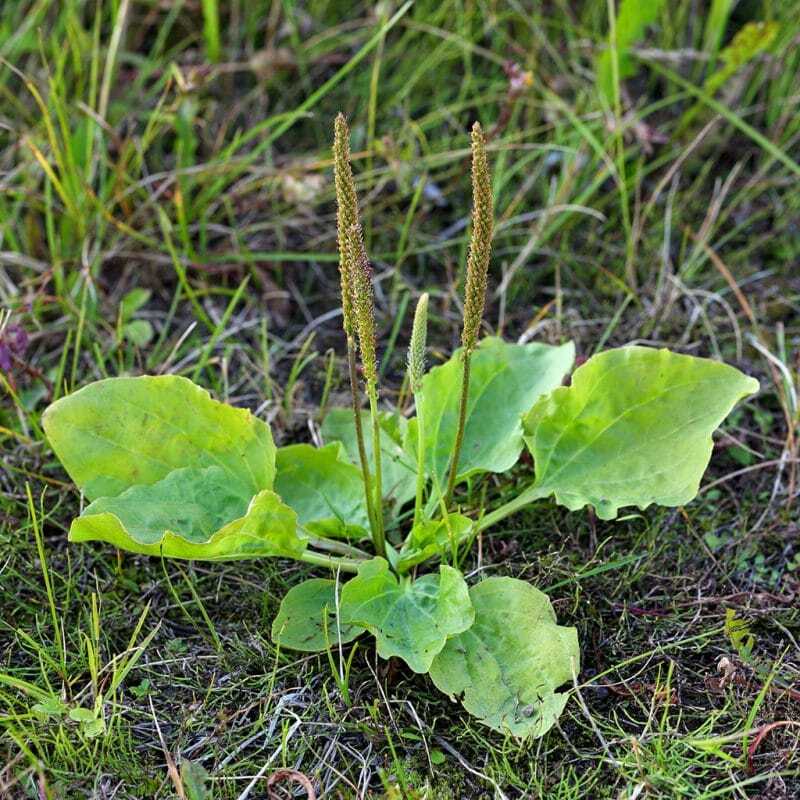 Indigenous black-seeded plantain is readily identifiable, larger than wide-leaf plantago major, and having noticeable reddish colour on the base of leaf stems, whereas Plantago major plant is green right down to ground level. People sometimes mistakenly think they are the same plant. A great blog post, Colleen. I see lots of backyard and field plants that live here on our farm. So interesting to me. Keep up the good work. Colleen, We have a plant, that grows in our yArd, I heard it was edible…..it’s called Purslane.Purslane provides six times more vitamin E than spinach and seven times more beta carotene than carrots. It’s also rich in vitamin C, magnesium, riboflavin, potassium and phosphorus.I was wondering why that wasn’t one of the plants you listed above. Also, do you have any recipes for it? Another questio I had was…..I was thinking of trying to grow my own mushrooms. I know there are logs you can buy to do this. How would you recommend me starting this? Should I get a log, start them and then plant them in the ground? Would love to hear back from you. Thanks, in advance. Purslane is delicious! In Mexico it’s called Verdolagos and we eat it just like a salad greens. I’m in Washington state, and I often find it sprouting up through sidewalks and hanging off the edges of people’s yards. Kat- I’ve tried buying the mushroom logs. It’s a very expensive way to cultivate your mushroom!. 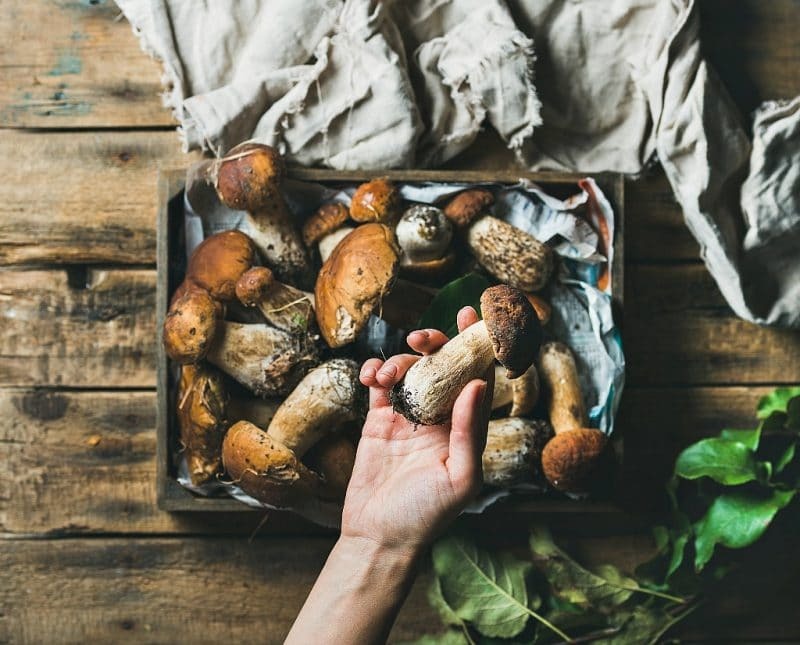 Try to find an article on growing mushrooms in coffee grounds (often in old tights) as that’s a much more cost effective and environmentally friendly method. The mushroom logs produce a bountiful supply. They need deep shade, moisture and regular harvesting. A friend of mine grew them for several years in KY. She was Commonwealth Secretary of Algriculture at the time and was looking for simple ways for rural women to make money with very little startup and low maintenance. She had a grove of trees and water source and I helped her wet the logs and harvest many times. Her crop was shitaki and she sold them to restaurants all over her part of the state. KY is very humid and the temperature drops at night more than in other places. I was just going to say that about purslane! You shouldn’t use it if you have an issue with oxalates. Purslane is more of a summer plant, that’s why I don’t have it listed here. It is an incredible edible, though! I’ve grown mushrooms on logs once and I think we’re going to try it again this year. I will do a post on it if it is successful.